I know 6 weeks living on the beach on a tropical island sounds like a dream come true… images of Mojitos, extra large platinum white beach towels, and well tanned bodies spring to mind – but the truth is… you can only do so much sleeping in, sun bathing and cocktail sipping (no, really you can) before you start to go a little stir crazy and begin to pine for some kind of activity… (nothing strenuous, let’s not get crazy here). 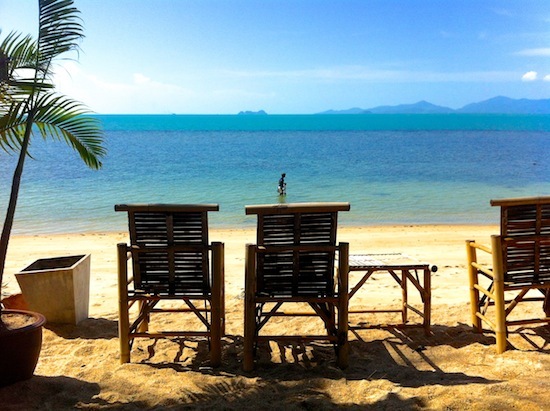 Well my friends, it turns out Koh Samui caters for active people just as well as the beach lovers… during our time on Samui, we discovered through both the local knowledge of our friends at By Beach Resort & via our own personal explorations on the island…. it’s a busy little place with lots going on. Probably explains why it’s so popular with expats – ah? Whether Yoga’s your thing, or maybe it’s Thai Boxing (Muay Thai) that spins your wheels… when the initial overwhelming feeling of “holy sh*t – I’m really here in Koh Samui, and I can sit around doing nothing for an entire [ ______ ] (insert your holiday period)” subsides, Koh Samui’s got some uber cool sh*t to do… and we’re about to take all the hard work out of locating Koh Samui’s best activities for you. Ok, so it’s not really an activity per se – but required nonetheless if you want to be active on the island. Transport in Koh Samui can be expensive. If you’ve just arrived from say… Bangkok, don’t expect the taxi prices to be the same… expect to pay around double. The typical cost for a cab to get from the ferry terminal at Nathon to your hotel should be somewhere between 300 – 500 Baht. If you like your independence & you want to be able to travel around the island, the cheapest & most convenient method is to hire a scooter. You can rent scooters from one of the many scooter hire places on the island for as little as $6 per day. Some places will ask to hold your Passport & some won’t. 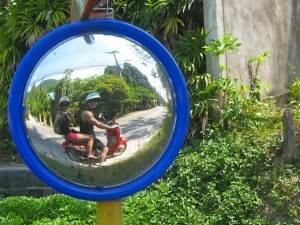 When you hire your scooter the fuel tank will be empty, it costs around 100 Baht to fill up with fuel. 2) Or if your’e in a jam & really low on fuel you may have noticed some of the small shops or convenience stores with racks out the front stocked with what look like old glass milk bottles filled with yellow fluid, you can fill up here but it costs a little more than at a fuel station. Day Trips – Visit The Island Of Koh Pha Ngnan. Koh Pha Ngan is a mere 1 hour ferry ride from Koh Samui. If you time your visit right you can even attend one of Koh Pha Ngan’s infamous full moon parties that happen on a monthly basis. Do An Overnight Scuba Diving Trip To Koh Tao. Difficult to pull off a day trip to Koh Tao from Samui… you prob want to spend at least 1 night (2 would be better) on Koh Tao if you want to get a full day out on the water scuba diving. Koh Tao is well known on the backpacking circuit for it’s uber-cheap diving & excellent dive sites. You have quite a few options for Yoga on Koh Samui. 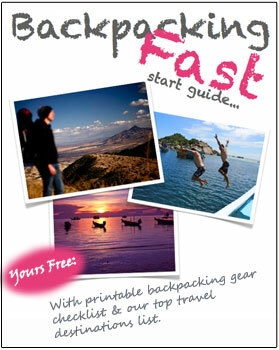 Depending on where you’re staying on the island & whether you can travel. I hunted high & low for a Yoga instructor on Samui who would be willing to travel to me without a great deal of success… I wanted the ability to practice on our very own stretch of deserted beach right out the front of our little resort. I did find an amazing instructor in the end, but I don’t have permission to give out his contact details… if you would like them, send me an email & I’ll see what I can do :). We ended up practicing yoga at Oasis Health Retreat on Bang Por Beach. Thai boxing is pretty popular in Koh Samui for both spectators & fighters. There’s a decent sized boxing arena in Chaweng Beach that hosts local & international fights numerous times a week. Muay Thai retreats are popular in Samui for people who want to spend their time on the island focusing on exercise & training, periods of up to a month are typical. A few of the well know places are… Pro Samui Located in Chaweng – Pro Samui offers training combined with accommodation, when I was looking into training, you could train for free twice per day if you were staying in their resort. Always popular with the ladies … cooking a killer Thai Green Curry is a skill worth going back to school for (for a day at least anyways). 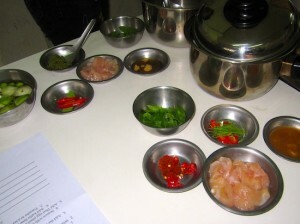 Just learning what spices to use & when – is worth the cost of the class. Sitca is a good place to start if your’e staying around Chaweng. There’s 1 guy who seems to dominate the fishing tour market on Samui… his posters are everywhere on the island and inside all of the tour companies. 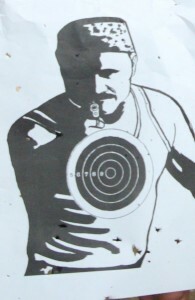 Of course there’s a shooting range… it may be a small island but Koh Samui’s still a mega popular tourist destination, and where there’s tourists in high concentration in Asia your never far from a rifle range. Situated between Baphut & Chaweng beaches the taxi driver will know the way. 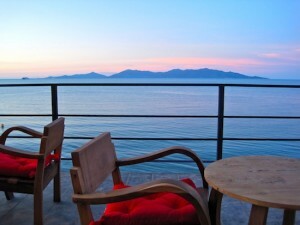 My husband and I have only a week vacation on Koh Sumui for our honeymoon. We are looking for yoga, lots of privacy and scuba diving. Can you recommend a resort? Thanks for the advice in the blog, much appreciated. I to would also like some ideas with accomodation. I would really appreciate some advice. I’ve looked through tripadvisor and tried to navigate throught the fake and real reviews. There are some real horror stories at some locations I’d like to avoid. I’m aiming for 2 weeks (leaving in the next few days), will def hire a scooter, ideally would like to be near a gym and hoping not to spend more than 1000Bht per day. I just want somewhere clean, reasonably quite aircon, a shower that is not a crouch down plastic thing attached to taps, no loud music/partying sounds to close by, reasonably reliable internet at no extra cost and a safe thats screwed down. Thanks very much for any advice your able to give. (i know thats prob to much info, wld really appreciate any guidence, cheers). We refused to stay anywhere else than By Beach Resort on Koh Samui. The guys who own the place, run the place, and they’re an amazing bunch of people. It’s about a 30 minute scooter ride from Chaweng (which suited us fine) and the Yoga place I mentioned on the blog is a 15 minute stroll down the beach. The guys at By Beach will organise you a scooter at a day rate, & have it delivered to the resort whenever you need one.